VideoMagic Films is a family owned and operated business since 1994, as a family we understand the importance of the special moments of our lives and in preserving them in the best way possible. 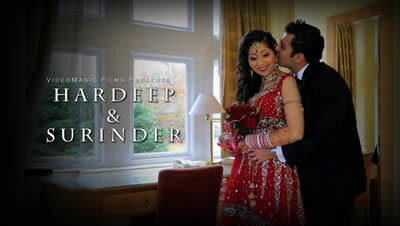 Our Sikh Wedding Videos are modern and we are experts in filming sikh weddings. We are dedicated to provide friendly, personalised service to ensure the highest filming which is discreet, and un-obstrusive. 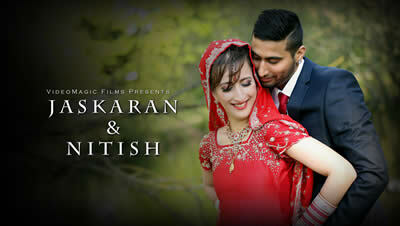 We are trusted by many asian and Sikh families to capture their special moments. 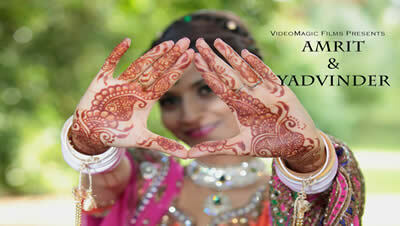 Our experienced staff use HD cameras and we can film from both (Bride as well as Groom's side). For Sikh wedding videos, we can film the Akhand Paath ceremony, as well as night before celebrations including Kudmai & Chunni ceremony, Champagne Party, Choora ceremony, Mayiaa and Vatna ceremony, Ladies Sangeet as well as Jaago nights. We have filmed Sikh Wedding videos in London and South-East & provide a truly nationwide service (including Southall, Hounslow, Wembley, Slough, Ilford, Maidenhead, Langley, Gravesend as well as in Birmingham, Coventry, Newcastle, Midlands, Glasgow, Cardiff and Reading). From the begining, we will work with you to plan your day - so that nothing is left to chance.